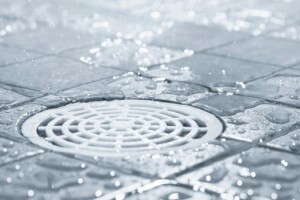 Most people regard drain cleaning as an emergency service. However, the truth is that there are significant benefits to be had by getting your drains cleaned on a regular basis, rather than waiting for a clogged pipe or plumbing fixture to create an emergency. The number one reason to get your drains cleaned now is that keeping your pipes clean and debris-free can help prevent plumbing disasters later on. For example, by getting your main drain line cleaned before it clogs, you can prevent the repugnant and destructive experience of having a sewage backup in your home. By getting tub and sink drains cleaned regularly, you can prevent clogs from resulting in accidental overflows, which can cause significant water damage to your home and furnishings, especially if the fixture in question is located on an upper floor. Slow drains can be almost as troublesome as completely stopped drains. Standing water in a tub or toilet can not only breed bacteria but may also contribute to high humidity levels in the home. A regularly scheduled professional drain cleaning can help keep all your drains moving at the proper rate to improve their reliability and functionality. When you think about the kind of gunk that gets caught in your pipes, it’s no wonder that your drains may start to stink if not cleaned frequently. Kitchen sinks can become especially smelly due to food waste and grease getting trapped in the drain, but sinks and tubs can also acquire an unpleasant odor due to hair and soap scum clogs. Professional drain cleaning companies have high-tech equipment like hydrojetters that can really blast away all traces of buildup and residue to eliminate odors. One final and very important reason to get drain cleaning as a preventative measure is that it can help improve the lifespan of your pipes. If you allow your pipes to get clogged, this can place additional pressure on the pipes and joints. If the pipes are already weak due to corrosion, pitting, or simple old age, this extra pressure might just be the final straw that finally causes them to leak or even burst. Drain cleaning can help reduce the pressure on your pipes to protect them. Plus, because The Drain Dudes® offers in-line video camera inspections with every drain cleaning, getting your drains cleaned can also help protect your plumbing system as a whole by providing an opportunity to identify and correct other incipient pipe problems.